Your privacy is of great concern to us here at ZNR. We have taken every precaution to assure that your payment and shipping information remain confidential, including the use of SSL (Secure Socket Layer) security and the highest encryption available to us. The site is now stored completely on our server which means that none of your information is stored here on the system in the office. Still, if you feel better about it, you may phone the office here at (502) 935-8656 and leave your order and credit card information on the answering service. For the protection of both the credit card holder and ZNR, we do reserve the right to request additional information (including a photocopy of the card you are using and/or a copy of a picture ID). 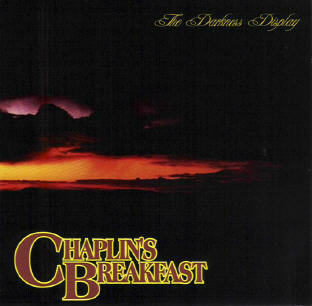 Chaplin's Breakfast "The Darkness Display"
This was a very lucky demo tape, actually... So we're glad t ..